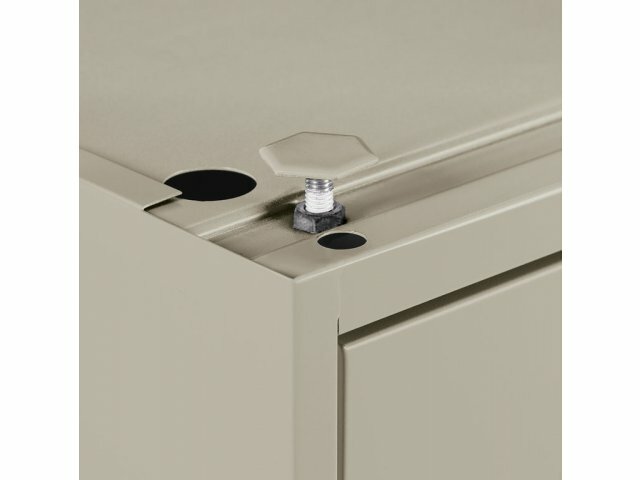 One-piece top with steel corner gussets improve appearance and strength. 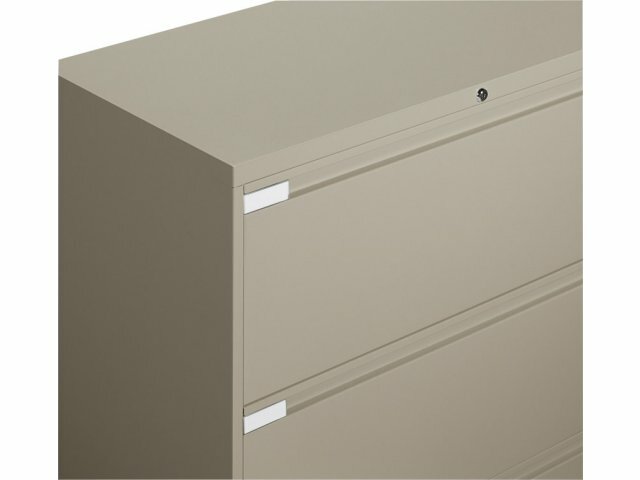 Easy-to grasp recessed pulls that provide a sleek stylish look but these handles will never loosen or come off. 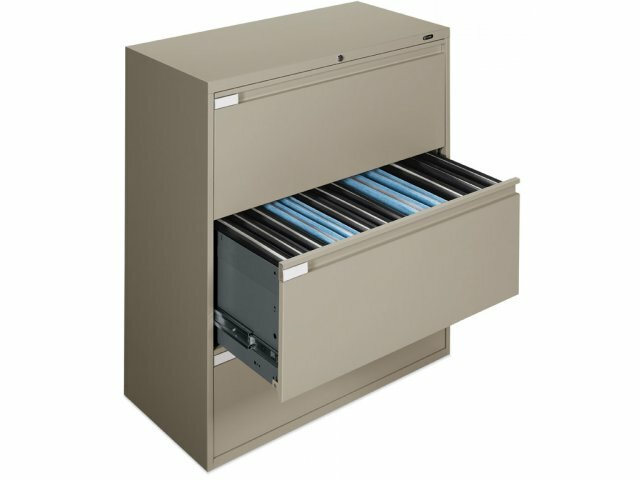 Accepts side-to-side filing of letter or legal files; front-to-back filing of letter or legal files can be made accomplished with purchase of optional rails. 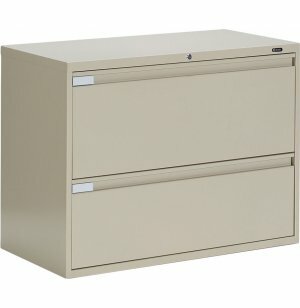 Lateral file cabinets have horizintal drawers in which files are sometimes stored from side-to-side and sometimes front-to-back. 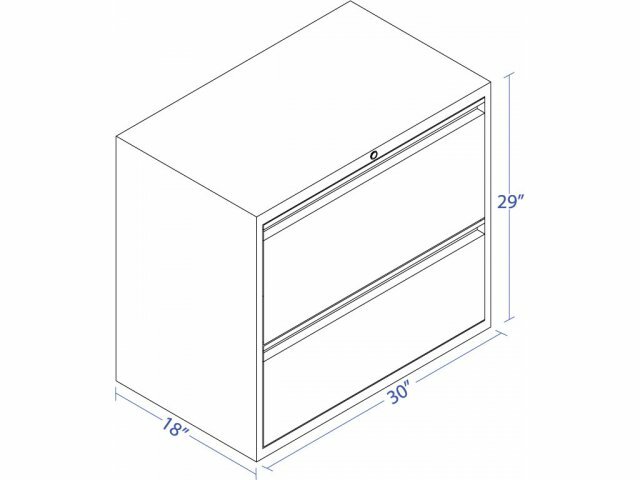 This item is a custom item and therefore orders are non-cancelable and not returnable. 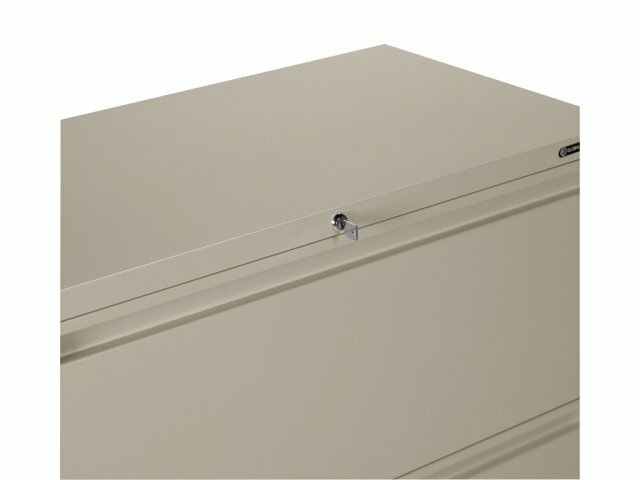 Full-extension, 3-stage ball bearing drawer suspension. 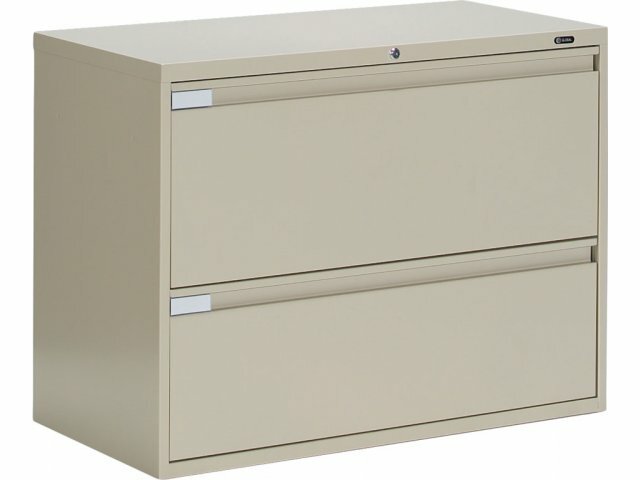 Durable environmentally friendly paint finish. Note: Non-Quickship items are custom-made and are therefore non-cancelable and not returnable.